Ever wonder what it feels like to do Parkour? Well if you like me, the chance of you running and jumping across buildings is not really a reality, the closet i’ll get is giving my thumbs a work out on the game ‘Mirrors Edge’. 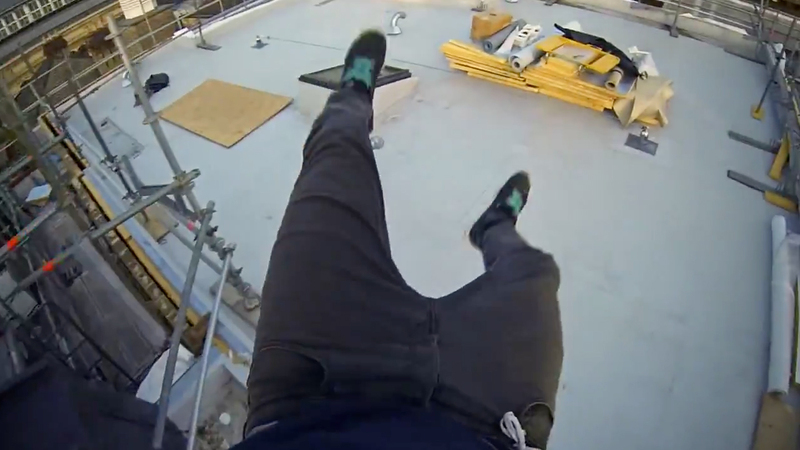 In the video we get a view from the rooftops in this POV Parkour video from Cambridge, UK. The Video was captured by Ampisound team member, James Kingston, He wanted to produce a video that showed some clean movement at a few of the choice spots in the city. This entry was posted in Video, Viral and tagged Ampisound, Cambridge Parkour, entertainment, James Kingston, Parkour, parkouring, Sport, Viral, viral videos. Bookmark the permalink.